This Best Practices is concerned with the use of standards, methods, processes, frameworks, and IT tools to support end-users’ and businesses’ expectations associated with Reliability,Availability, Maintainability, and Performance of biometric-based verification and identification systems and applications. Biometrics Performance Monitoring (BPM) is using real-time data to detect, diagnose,report, and recover issues, or potential issues, in order to ensure that end-customers’ business goals and requirements are met or exceeded. Customers in the market for biometrics should be demanding higher quality of biometrics systems, applications, and services (in terms of Reliability, Availability, Maintainability, and Performance) while keeping the operational costs (such as downtime, maintenance, malfunctions) at a minimum. After almost 10 R&D years in a convergence area between several IT disciplines (e.g. biometrics, application performance monitoring, event correlation and analysis), Optimum Biometric Labs has packaged and released its know-how and experience in this Best Practices in Biometrics Performance Monitoring Programs. This course looks at the use of definitions, standards, methods, processes, and IT tools to support end-users’ and businesses’ real-world expectations associated with Reliability, Availability, Maintainability, and Performance of biometric-based verification and identification systems and applications. What is Biometrics Performance Monitoring? Why is Biometrics Performance Monitoring needed? What is Service Level Agreement (SLA) and why is it important? what does and should it content? Properties of general Biometrics Performance Monitoring (BPM) tool. 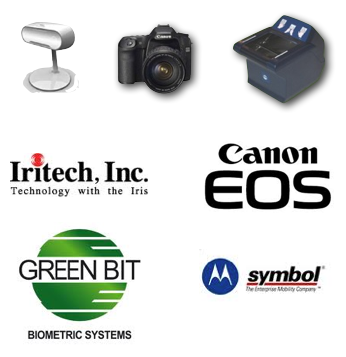 How to evaluate IT tools for Biometrics Performance Monitoring? Course material: Lecture notes in digital format will be distributed in advance. These notes are for participants only and are not for sale. Collecting and archiving more than 108 events and transactions for analysis of trends, behaviour and abnormalities.